Frank Fletcher was born in Iwoa on 29th April, 1885. He attended the United States Naval Academy at Annapolis and graduated in 1906 (26/116) and joined the United States Navy. He won the Medal of Honor at Vera Cruz in 1914 and saw action in the First World War. In 1941 Fletcher was captain of the Minneapolis and was fortunate to be at sea during the attack on Pearl Harbor. Promoted to rear admiral he was appointed commander of Task Group 14. On board Yorktown, Fletcher helped the defence of Tulagi. This led to the battle of the Coral Sea (6th-8th May, 1942). Fletcher also took part in the battle of Midway (3rd-6th June, 1942). 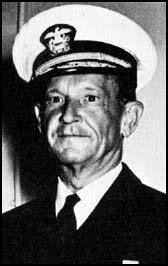 Admiral Ernest King selected Fletcher to lead the assault on Guadalcana (12th-13th November, 1942). During the campaign Fletcher clashed with Richmond Turner, who was in charge of amphibious operation in the Pacific. 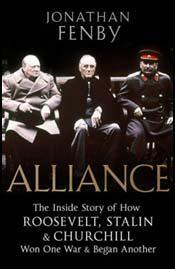 His decision to withdraw his aircraft carriers when he leaned that the Japanese forces were approaching was later criticized. His move left supply ships vulnerable to air attack and denied Alexander Vandegrift and his US Marines air support as they attempted to create a beachhead on the island. As commander of Task Group 61 Fletcher faced Isoruku Yamamoto at the battle of the Eastern Solomons (23rd-25th August, 1942). During the battle Fletcher was wounded when the Saratoga was hit by a torpedo. Fletcher took command of naval forces in the North Pacific in 1943 and the following year he became head of the Alaska Sea Frontier. Frank Fletcher, who retired from the US Navy in June, 1947, and died in Bethesda, Maryland, on 25th April 1973.